In the United States the electric vehicle market is incredibly small. By our estimation there will be less than 75,000 vehicles powered only by electricity sold in the US this year by all manufacturers combined. Just to keep this in perspective, the Toyota Corolla is on a pace of selling about 300,000 cars this year. The Camry, about 400,000. The Ford F-series pickup truck is on track to reach three quarters of a million vehicles sold in 2013. Presently, electric vehicles are about 0.5 percent of the total US market. The Prius will sell about 230,000 cars this year, roughly triple all of the electric vehicles combined. Even if we add in the Chevy Volt, the best seller so far, the total annual sales will not go above 100,000 units. The Chevy Volt is an electric car, but it can be powered on the go by its gasoline engine. An excellent idea, but it blurs the line between electric and gas powered cars. In fact, that is one of the key points we will make. A dirty little secret that not many EV advocates bring up often is that a lot of the EVs sold are actually being bought by municipalities, companies, and other organizations, rather than individuals. In fact, in Mass., the state offers towns and municipalities $7500 of state taxpayer money per EV purchased. It does not offer individuals that incentive. Fleet cars are big business, and the automakers can meet mandates and build EVs for towns and companies as long as the incentives add up to a realistic loss they can accept. However, the Prius is also a popular green fleet car. If EVs are ever going to catch that it, the general public is going to have to get involved, and that is not happening yet. One cannot help but read story after story about the fantastic advances in electric cars. The incredible Tesla Model S, a true super-sedan, is amazing in almost every way. However, it will sell about 20,000 units this year. By any measure the sale of 20,000 vehicles is not remarkable. In fact, in almost all market segments a volume that low would mean cancellation of the model unless it shared its parts with another similar model. Nissan will sell about 24,000 Leafs this year. For a car in the compact economy car segment that is so terrible in terms of results that you would never hear about a model that sold so few were it not electric. Why do electric cars sell so poorly? The reason is the same reason that has always haunted electric cars. It is called the rule of three. You can pick any two attributes you wish from good range (say 300 miles), a good price for the content offered, or good performance (say 0-60 in under 7 seconds), but you can only pick two. Gasoline vehicles can offer all three. In order to help break the rule, the federal and state governments have offered electric vehicles buyers your money in the form of incentives, tax rebates, and direct funding of the electric car facilities and even factory operating costs. Typical price supports range from a minimum of about $15,000 per vehicle to much more. This has brought prices for the small EVs to within the approximate price of their gas counterparts, but the driving range is still terrible. The range of EVs is less than 90 miles in most cases, with the one exception being the Tesla Model S, which usually retails for about $100,000. These are all facts that have been reported before. However, in this author’s view the reasons why EVs will not catch fire are not what most people talk about. Here are the three reasons why this author thinks EVs won’t expand much, and will continue for the foreseeable future to be very low volume sellers. How can we make the ridiculous statement that battery prices don’t matter? Because as battery technology progresses incrementally, which is all that it has ever done, and the range per pound and range per dollar improve slowly, that same advantage will be available to plug-in hybrid electric vehicles. Plug-in hybrids offer the same or better MPGe that full electrics do and you can always get home – right now- to take your kid to the pediatrician no matter how far away you are. Plug-in hybrid electric vehicles are actually the biggest threat to fully electric vehicles. Wouldn’t a vehicle that you can drive to town for milk, or maybe even to work on all electric power, but then also take on vacation be better than a car that can only go 90 miles before being put on a charger for one, or two, or ten hours? The new Honda plug-in hybrid Accord gets 115 MPGe when operated on gasoline and electricity. According to www.fueleconomy.gov, that is exactly the same as a 2013 Nissan Leaf full EV (the 2014 has not yet been rated). Yet the Accord is bigger, faster, and has no range limits at all. Our point is that as battery technology progresses it will benefit the cars like the Honda Plug-in hybrid just as much as the full EVs. An autowriter at Torque News, who is a fan of the Nissan brand and respects the Leaf, pointed out that one reason for the Toyota Prius’ excellent sales is momentum and time in the marketplace. His point is valid. Hybrids are in their fourth generation now. The top hybrids (not plug-ins) now get 50 MPG city and about 50 MPG combined. As manufacturers have evolved their technology, and as hybrid sales have nudged up a bit, the costs for the systems have come down. Now many manufacturers (Lincoln for example) don’t even charge more for the hybrid version of the cars they sell. Non-electric cars are also stealing a lot of the EV’s tricks too. One reason EVs have such good efficiency is that they don’t use any gas while at red lights or stopped for any reason. That feature is found on many gasoline powered cars now. Similarly, electric steering and charging of the electrical system only during times that the car is not using the engine have brought newfound efficiency to the “non-electric” cars we all drive. Advancements by EVs are carefully looked at to be adapted to gasoline powered cars. This keeps the gap between EVs and hybrids narrow. The little hybrid annoyances such as goofy brake pedal feel and shuddering when the car switches from electric to gasoline power are also now starting to disappear. We have driven hybrids, such as the Lexus ES 300h, which are nearly impossible to tell are hybrids. This is a threat to EV sales because as the fuel economy of hybrids goes up about 5% every generation, they come ever closer to meeting the green car goals that customers have, and that the companies making the cars have. One thing we have not yet seen is any sort of real push-back by taxpayers on the massive subsidies afforded to electric cars. There have been some embarrassing moments, for example when the Fisker (extended range electric vehicle) plant was found to be being operated at taxpayer expense. However, taxpayers have so far not raised any eyebrows at the incentives being paid to individuals and automakers to produce electric cars. That could change. Were a show like 60 Minutes to do a segment covering the tax breaks being provided to millionaires who buy fancy electric cars, like the Tesla Model S, there could be some push back in the future. Without the taxpayer supports the economic model for the electric car falls apart. The newest member of the automotive community to joint the EV game is BMW. The i3 was a result of many years of research, test cars like the ActivE 1 series, and huge investments in money and manpower. Thought all along to be a truly electric vehicle, many people were surprised when BMW announced that the car would be marketed with a “range extender” option in the form of a gasoline engine. Some were not so surprised. BMW’s extensive research revealed that electric car drivers almost never use public chargers, even when they are available. 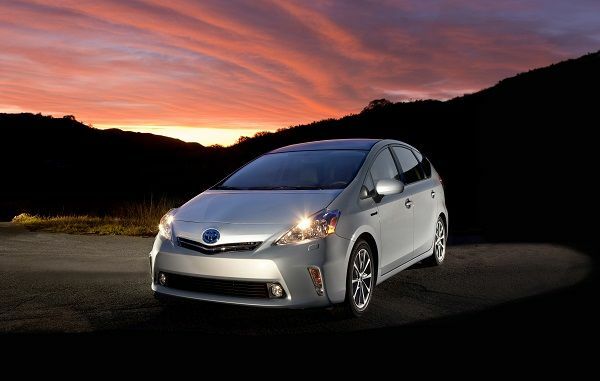 In October 2013 Toyota sold 15,623 Prius vehicles. Not a very good month for the Prius actually. However, that is about triple the total volume of the electric cars in the US combined. Dave, Thank you very much for your input. It is appreciated, and it is on-target. However, I must say that at this point, with the Leaf costing customers $21,500 in California, and with the Mitsubishi iMEV at $21,500, right where the Prius plays, I do think that the time for some criticism is upon us. The Honda Fit EV, Fiat 500e, and the Ford Focus EV all leasing at prices very near Prius levels (see link below) To your credit, J.D. Power and Associates research confirms your main point that mainstream customers say EVs cost too much when asked. However, EVs are certainly in the price range now (with taxpayer support) where sales should have started to take off. Do they have to cost exactly the same as economy cars to be desirable to green car buyers? If so, that says that green car buyers do not place value on the environmental benefits. - The Tesla is fantastic in almost all ways. Perhaps that is the sweet spot for EVs - Ultra-luxury, ultra expensive. I think calling the Tesla Model S a $75K sedan is inaccurate. I have never seen a review of one costing near that that I can remember - and I read them all. When I visited the dealership they only had models over $100K on hand (and they had 6 for sale). If there is an official company provided price point breakdown of models sold I would love to see that. (Meant sincerely, not sarcastically) Lease Prices for EVs: http://www.torquenews.com/1083/honda-fit-ev-now-least-expensive-electric-vehicle-lease - The Volt is an odd duck. Not really a true EV. However, its price for 2014 (before options, and before dealer negotiations) will be about $24K in most markets in which it is sold. Having driven the Volt, and the Cruze I can tell you the Volt is much more car for the money. Some Cruze models do start near 18K, but some with options also cost around $20K. Should a super-high tech car like the Volt cost what its economy car sibling does? If so, why? "You can pick any two attributes you wish from good range (say 300 miles), a good price for the content offered, or good performance (say 0-60 in under 7 seconds), but you can only pick two. Gasoline vehicles can offer all three." Actually, it's only price and range that matter, performance can be had without a range penalty and hopefully without much of a cost penalty. Higher range means more battery means more cost. More performance just requires a larger electric motor and inverter and the battery pack able to discharge at a higher rate. It's all do-able. The Chevy Spark, Fit EV are fast and are not a premium in cost,and yes, low range like the Leaf. So 2 out of 3 areas. But really it's just about 2 areas; range and price. Performance doesn't cost much with EVs. Once batteries get cheap, then you could have a long range low price low performance EV or a long range low price highish performance EV without much more cost. With the Chevy Volt, you can reflash the ECU so that when it is in hold mode, you can have the engine engage to the transmission at lower speeds, along with full electric power. This results in 0-60 of about 6.5 seconds (google" 2013 chevy volt high performance part 3 fastest ever 5.5 second 0 to 60mph.MOV"). Of course the vehicles drive efficiently when you are in normal/sport modes. It would take brass balls (as in a centrifugal clutch) to mess with the electronics in a Volt! Awesome feedback. Thanks for reading. If batteries ever do get cheap the game changes.